All types of fuels supported, even LPG and Electric! Key statistics at your finger tip! Join us for a lot more cool features! FREE app and 5 FREE motors! 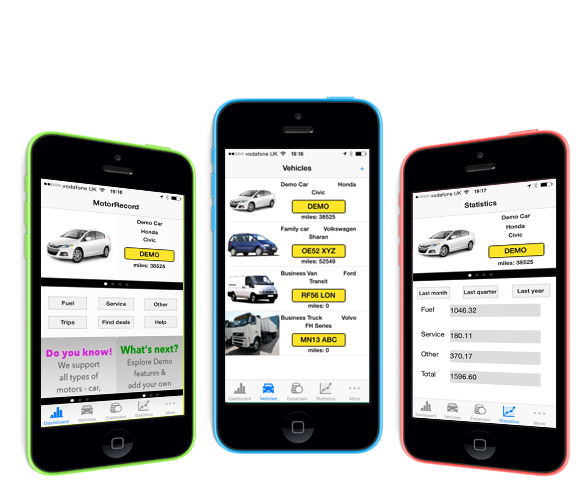 All your automotive details in one place! Free to join! Start saving money! Save money spent on cars! 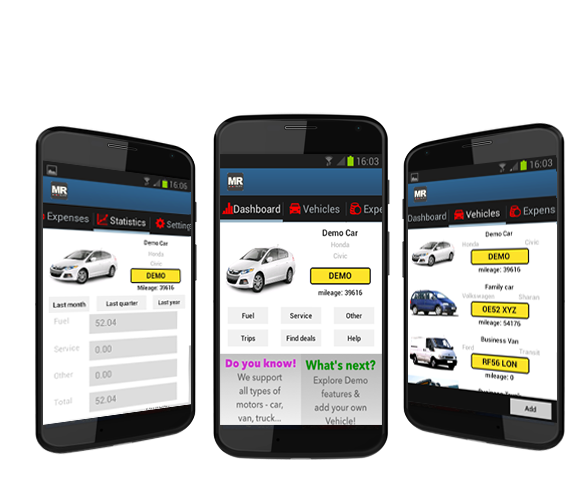 Motor Record helps you to look after your automobile while saving you money. It is so simple that you have to just keep track of all expenses you incur and we can provide you the insights you need for taking money saving decisions. Would you like to know how to fund your vacation by looking after your car? Want to increase your profit and reduce time spent on the road? Just join us and let us show you how can you save by cutting down your auto expenses! 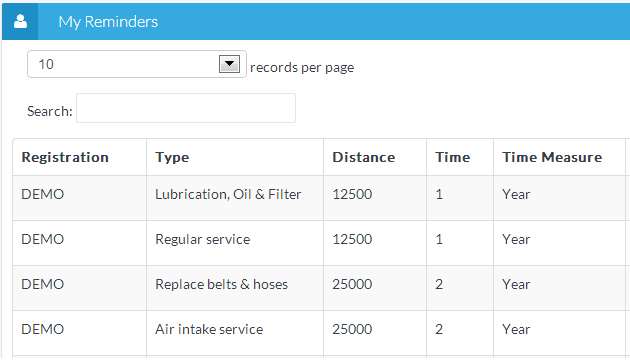 Our online expense and mileage tracking solution is the only place you need for conveniently storing all useful and important information about any type of motor – car, bike, van or truck. 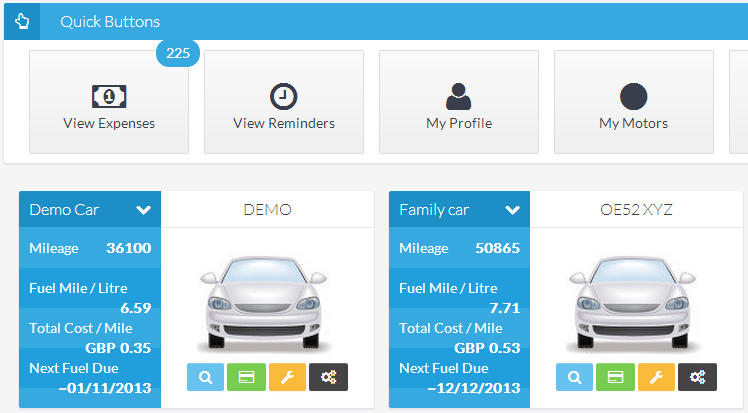 You can easily enter expenses, compare best gas mileage, track performance, create reports, get reminders about service due, access all your data anywhere using web or mobile and make your life a little easier – it is time to use the latest technology and throw away those old vehicle maintenance log books or calendar entries to save time and money! Join MR Club and track up to 5 motors for free! You heard it right - no money to pay and you don’t have to swipe your card! Just join using your social network accounts or create an account using your e-mail address. Are you wondering how can you save money by tracking your expenses? Let us give you some examples: Saving money on fuel is not that difficult and you don’t have to look around - your own expenses can tell you how much you paid and the mileage you got! 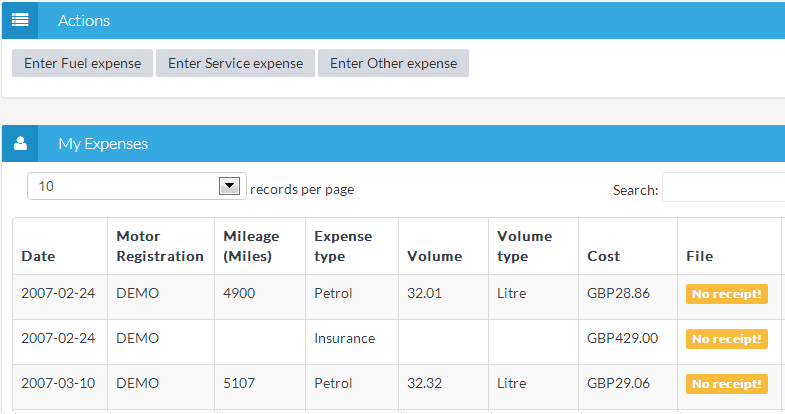 Just by tracking expenses for 2 family cars, a typical family found one of them cost £1000 or US$1500 more than the other for the last year! Imagine how much you can save if you have a fleet if you know this detail!! The other day a car got a puncture and the nearest garage quoted £40 or US$60 more than they charged last year. Just showing them the receipt at the click of few buttons using MR Connect mobile app reduced the bill and saved money. Automatic reminders help you avoid paying fines, etc, etc. We have built this with you in mind and we know how difficult it is to save money. Take control of your money by knowing where it is going - it is easy and we can help you! Don’t delay now! Motor Record is free and we are sure you will like the features! Log-in using your social networking accounts or join us now! Compatible mobile app in both iPhone & Android! Join now! Log-in and check current features for free! All your expenses (including receipts), maintenance records, reminders easy to enter and access. Available within seconds whenever and where ever you need. Don’t search files and waste time! Real-time monitoring of costs updated automatically. The latest tools that give you edge over others. Click to compile a report on expenses, performance trends, data for tax filing with useful data analytics features. Form your own Motor Circle and get connected to like-minded motorists. Ask questions, get/give help. Safety and security of data are very important to us. We apply the latest technology to ensure this commitment. Free to join! No Credit card required! Join MR Club - Five motors with basic features FREE! Want advanced features? Join our MR Premium Club!